One of the benefits of joining the East Central Indiana Treasure Hunters is our exclusive Membership Offers. Club membership entitles you to significant savings on products and merchandise relating to our hobby. 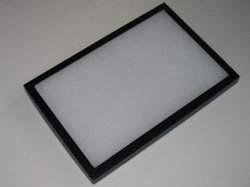 These mounts are of heavy telescoping box construction with glass tops and are neatly covered with black skytogen embossed paper. They are filled with a soft white fibre which holds the specimens against the glass top. Size of the mount is approximately 12x16 inches. Used for displaying coins, relics and artifacts. Riker mounts are an inexpensive way to sort, organize and catelogue your finds. To learn more about riker mount pricing, see club member Bill Deilkes at our next meeting or contact him through our Facebook Page. Through an exclusive agreement with a local craftsman, club members recieve a very substantial discount on these wooden display cases. 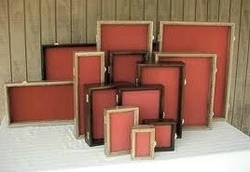 These solid wood display cases are hand-crafted and come in a variety of sizes, finishes and wood types. These cases are ideal for those "special finds" that you would like to put in a permanent display for all to see. A complete pricing list will be available to club members soon.